Anyone used to watch Nitro Circus on TV?! Well, big news!! Direct from sell out shows across the globe, the world’s greatest action sports show — Travis Pastrana’s Nitro Circus Live — is back in the U.S. as part of a 2016 North American tour!! The most explosive event in extreme sports will play more than 40 huge shows across North America, all in first-time markets, starting next spring. Albuquerque can witness all of the death-defying stunts and mind-blowing tricks at University Stadium on Friday, April 22, 2016. Tickets are on sale NOW!! Not from Albuquerque? Check out the list of cities here and get your tickets! Nitro’s daredevils — thirty of the best athletes in freestyle motocross (FMX), BMX and more — will ride a host of ridiculous contraptions and anything else imaginable with wheels, launching 50-feet into the air for a theatrical spectacular area fans have never experienced before. Highlights include the most incredible choreographed riding routines ever seen. The famous “Nitro Bomb” features multiple athletes flipping simultaneously, while during unbelievable FMX trains riders slice through the air wheel-to-wheel, mere inches apart. Nitro Circus Live has sold out legendary arenas such as Madison Square Garden in New York and the O2 in London. More than 35,000 people packed Johannesburg’s FNB Stadium, site of the 2010 soccer World Cup final, for a massive 2014 show; 45,000 filled Melbourne’s Rod Laver Arena, the second highest attendance of any touring act at that venue. 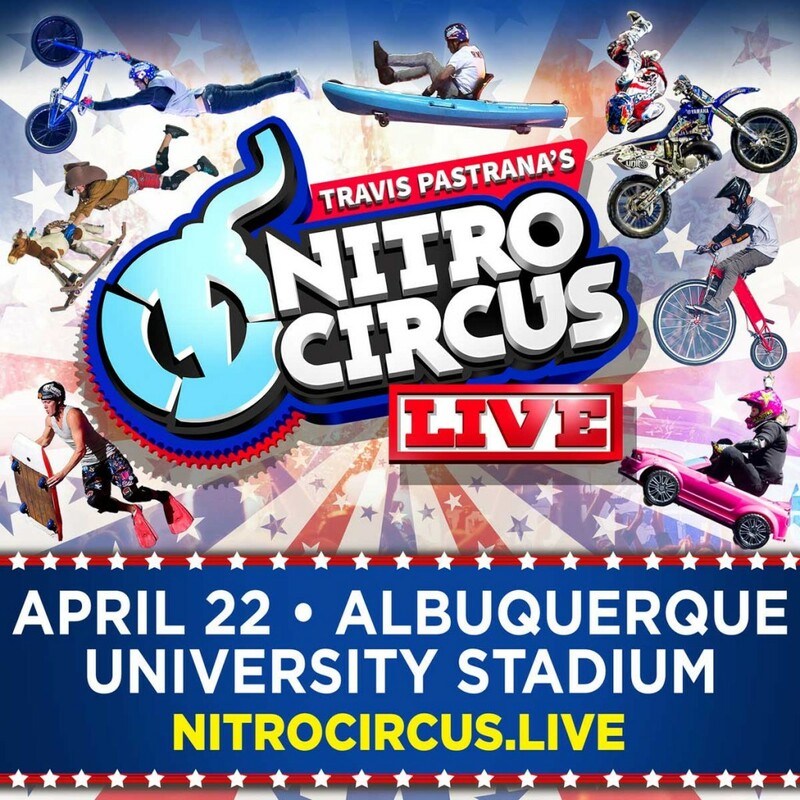 Now, Albuquerque fans do not want to miss their chance to see Nitro Circus Live. One lucky Wheel n Deal Mama reader will win tickets for their family!! A 4-pack is up for grabs NOW!